Axillary lymph nodes are the lymph nodes located in the armpits. They can become enlarged in many conditions including infections, lymphomas, and breast cancers, Lymph nodes are small structures located all over the body around blood vessels that act as filters and can accumulate germs or cancer cells. They are a part of the lymph system of the body. Also Known As: Armpit nodes. The medical term for armpits is axilla. What Do the Axillary Lymph Nodes Do? There are about 30 axillary lymph nodes (anywhere from 20 to 40) in your underarm area. The lymph fluid draining from your breast, upper abdomen, arm and neck pass through these bean-shaped nodes on its way to returning to your blood circulatory system. Lymph is a clear fluid that is produced by blood nourishes your cells and tissues. It is eventually returned to your circulatory system to make up your blood plasma. Lymph includes white blood cells but not red blood cells. Bacteria that are loose in the body can collect in the lymph and be taken to the lymph nodes. The white blood cells that live in the lymph nodes attack bacteria and multiply to fight off an infection. They also become stimulated to produce antibodies and immune reactions to foreign germs and substances they encounter in the lymph nodes. Metastatic cancer cells can also travel through the lymph and into the lymph nodes. This is seen in breast cancer, where the cancerous cells may spread to the axillary lymph nodes. Lymphoma is a cancer of the lymph system. It can affect any lymph nodes including axillary lymph nodes. What Causes Enlarged or Swollen Axillary Lymph Nodes? A local infection of the arm or breast, including skin and wound infections and cellulitis. The bacteria are carried in the lymph to the axillary lymph nodes, causing a reaction there. An infection that is affecting your whole body, such as strep throat, measles, mononucleosis, herpes or AIDS. In this case, other lymph nodes may also be enlarged. Cancers, including lymphomas, leukemias, and breast cancer. Immune disorders such as lupus or rheumatoid arthritis. A lump in the armpit may be something other than a swollen lymph node. It could be a cyst or abscess, cat scratch disease, a harmless fatty lipoma, or be caused by some medications or vaccinations. When Should You See a Doctor About Enlarged Axillary Lymph Nodes? You should see a doctor right away with any unexplained armpit lump. It could be the first sign of breast cancer or lymphoma or a serious infection. 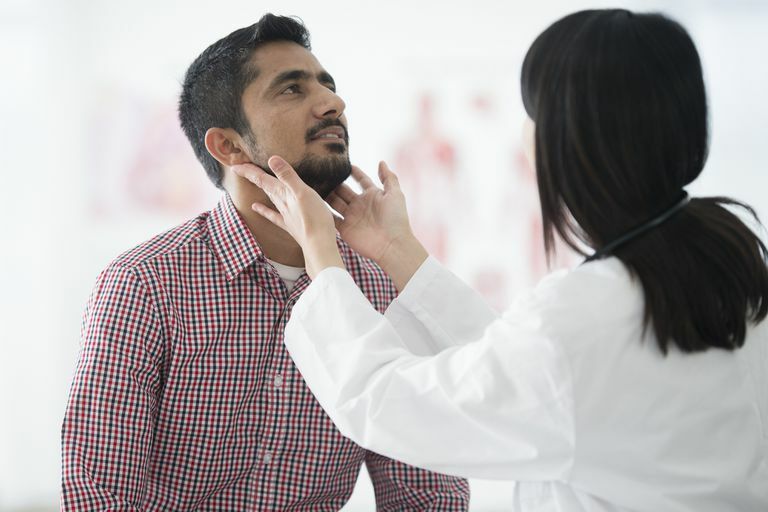 A swollen lymph node is always the sign that something is wrong, and you need to find out exactly what it is. Linda J. Vorvick, MD. Armpit lump, MedlinePlus, 8/18/2013. U.S. National Library of Medicine. What Does Sluggish Lymph Mean?